The downstream petroleum sector on 11th May, 2016 received a major policy turn that seemed to have altered the age long dynamics of the industry as the Nigerian National Petroleum Corporation (NNPC) announced the removal of petroleum subsidy and provided new pricing guidelines, designed to be cost reflective in line with market dynamics. Whilst the new policy has shifted off the Government, a major burden of subsidy payment which over the years pressured fiscal finances; the ambiguity surrounding the current decision however – should it not be a full scale deregulation – could continue to potentially impede the development of the downstream petroleum sector. There is no gainsaying the need for a total market determined pricing of the pump price of petrol (as in the case of diesel), in order to fully open up the sector for the needed investments and development it seriously requires. Afrinvest Research has always advocated for a market system in the petroleum sector and foreign exchange administration to guarantee efficiency. Amidst the various macroeconomic challenges confronting the country stemming from the crash in global crude oil prices since H2:2014, major economic indicators have suffered debilitating setbacks. Exchange rate has depreciated by 33.6% in 2015 YTD at the parallel market while forex scarcity has impacted on business operations leading to loss of jobs. Pressure on consumer prices has driven inflation to 13.7% as at April 2016 from 2015 average of 9.0% even as the cost of credit further increased when the MPC in response raised MPR to 12.0% from 11.0%. The overall impact is a drag on economic activities as the GDP decelerated to 2.8% in 2015 on the average against the average growth rate of 5.9% between 2010 and 2014. The current Government may have leveraged on these weak macroeconomic indicators (tracing the bulk to corrupt politicians and institutions) and its moral capital in gaining power, the overwhelming deterioration of the revenue, in our view may have forced the popular government to take the unpopular decision of petrol subsidy removal. While we laud the courage and tenacity of the Minister of State for Petroleum – Ibe Kachikwu – in taking this crucial decision we have termed “the inevitable”, we fear that it may be described as “Taking the Bull by the Legs “than “Taking the Bull by the Horns “especially in terms of pricing as we expect the NNPC to hands-off pricing regulation in the near term. In this report, we explore the various issues surrounding subsidy removal going down the memory lane while also analysing the problems associated with the previous regimes. We analyse the implication of the policy to fiscal policy, households, business sector (Oil & Gas), the economy & financial market and conclude with our expectation of the monetary policy response. The Ministry of Petroleum Resources has decided to liberalise the sector and remove import quotas which had hitherto barred most business ventures from playing in the market. As a result, regulations around supply have been lifted to attract more interested players into the downstream space. This is expected to spur activities which would have significant influence on petrol prices as the oil & gas sector tilts towards a perfectly competitive market. In addition, the issue of forex unavailability which had prevented marketers from bringing in products even after being awarded quotas has been resolved following the new PPPRA template which now recognizes exchange rate at a more competitive price of N285.00/US$1.00. With the new template, the new pump price of petrol was estimated at N138.15/litre with the PPPRA guiding petroleum marketers to sell at price band of N135-N145/litre. Accordingly, the price modulation template is expected to vary from time to time in line with movement in global oil prices and exchange rate volatility. The PPPRA will thus review the template as at when due to reflect new market conditions. With time, government hopes to hands-off the pricing template and allow market forces to determine the appropriate pump price of petrol. Although there are many staple necessity products in the country that should require one form of government subsidy or the other, the overbearing necessity nature of petrol seems to be of priority to successive governments in Nigeria given its relationship to several other products in the economy. In fact, more often than not, every rise in pump price of petrol has been accompanied by increase in headline inflation. Although the argument for continued need for subsidy on pump price of petrol has been that Nigeria produces crude oil and so the citizens should buy petrol at subsidized prices, yet the fact that the product is hardly ever domestically refined makes it susceptible to crude oil prices and exchange rate volatility. Our analysis of the downstream petroleum sector in Nigeria reveals that the sector has remained largely regulated since inception with every government’s efforts (Since Obasanjo’s regime in 1999) to deregulate or liberalise melted with very stiff resistance from the people. In our view, the current government is left with no other option than to do the needful of eliminating the payment of subsidy in order to increase the supply of the product while also taking out all the artificial demand, prevent diversion and install normalcy in the system. We are tempted to believe that the path the Petroleum Ministry is currently treading is to totally deregulate the sector to ultimately allow market forces to determine the pricing of petrol. This is indispensable for fiscal balance at this time of low government dollar receipts and increased borrowing. The picture of continuous payment of subsidy seems very scary for the survival of the economy when analysed from previous data on subsidy payments. Available data from the CBN and PPPRA suggest that between 2010 and 2013, subsidy payment on petrol accounted for an average of 31.3%of total fiscal revenue, 24.8% of total expenditure and approximately 100.0% of fiscal deficit. For instance, subsidy payment accounted for approximately 88.0% and 72.0% of fiscal deficit in 2012 and 2013 respectively. In 2015, the total subsidy payments of N680.0bn was also higher than the budgeted amount of N633.5bn for capital expenditure and 11.8x (N57.7bn) more than the actual. More disturbing is the fact that in the current fiscal year, if the subsidy payment on petrol remains at last year’s levels, it would be 1.1x higher than the budget estimates for the Ministries of Power, Works & Housing and Transportation. Thus, what has been done is to technically take off the burden on government and strengthen the market system in fixing pricing and instilling efficiency in the sector. We believe the current policy, if sustained, will potentially stabilise the industry demand by expunging all the artificial demand from sharp practices and black marketers, increase the supply as players are incentivized to bring in products at market competitive prices. Of the five points, the first three have been touched in some degrees following the signed 2016 budget and the recent removal of fuel subsidy on petrol. The recently signed budget for 2016 provided for capital expenditure to account for about 30.0% (N1.8tn) of the total expenditure – which is a marked improvement from 16.0% in the prior year- while recurrent expenditure is expected to come in at N4.2tn. The major source of government revenue shows a paradigm shift from heavy dependence on oil as independent and Non- Oil revenue account for a greater proportion of government revenue and with a total expected revenue of N3.8tn, this presents a fiscal deficit of about N2.2tn. Given the size of the budget N6.1tn, all indications point to an expansionary budget with specific focus on investment in key infrastructure (transport, power, support for SMEs, domestic agriculture and agro-based industries) by the administration. We strongly believe that a judicious implementation of the budget will boost economic activity and will ultimately reflate the economy especially through the capital expenditure which will create more jobs as well as strengthen the real sector of the economy. In terms of improved economic viability of States, the recent pressure on government revenues have kept States on their toes as most of them are now looking inwards and seeking strategic investments in their respective States. The year 2016 has been a year of Investment Summits for the States as Kaduna, Enugu, Ogun and Katsina States have successfully held their respective Investment Summits with other States planning theirs. This technically makes the case for viability of States as against the old order of having few States that can be described as flourishing. Another signal (second) which we pointed out was a removal of the petroleum subsidy. In the budget for the 2015 fiscal year, recurrent expenditure was projected at N3.9tn and this was about 7.0x the size of capital expenditure (N0.6tn). Petroleum subsidy payment for the year, stood at about N680.0bn which represented 17.4% of total recurrent expenditure. Also, as oil prices fell to multiyear lows, the resultant effect of this was a decline in government revenue from oil, which happened to be the biggest revenue source for 2015 and this strengthened the case for an outright removal of petrol subsidy while channelling the funds towards capital expenditure which will boost real growth in the economy. In addition we opined that a removal of the subsidy would have strengthened the treasury’s cash position before approaching the debt market for funding of the fiscal deficit. We reiterate our stance and strongly believe the current step is in the right direction, however, there are still steps to be taken in order to ensure that obstructions that have been stalled previous attempts at subsidy removal are prevented. Without prejudice to the current move, the removal of fuel subsidy should have been done at an earlier time, as it has pressured fiscal finances over the years; but it is better late than never. Prior to this move, about N13.70 was paid as subsidy on each litre of petrol and extrapolating this with the widely speculated daily usage of 45 million litres will imply a monthly expenditure of about N18.5bn and annual cost of N222.0bn to government. This is definitely not sustainable especially considering the fact that there was no provision for this in the 2016 budget. In addition, from the consumption aspect, the 45 million litres daily usage is deemed as outrageous as the Minister of State for Petroleum suggested that there was a lot of diversion to neighbouring countries where they are sold at higher prices. II. Transfer of the differential between the adjusted total cost and previous price to retail pump price is unavoidable as the government clearly cannot afford to pay for the differential without violating constitutional provisions and resorting to deficit financing for what is essentially a consumption expenditure. Despite the positives from the removal of subsidy, we still point out some limitations to the policy implementation. 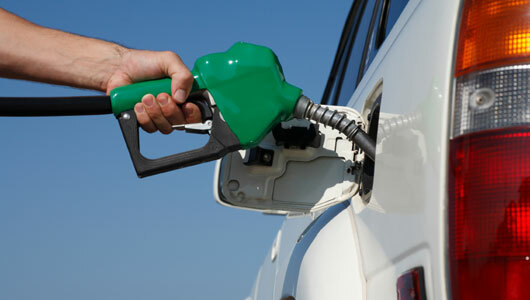 First, the fact that there is a proposed price range between N135.00/litre and N145.0/litre suggests that the PPPRA still regulates the pricing of petroleum and given the practise of a seasonal pricing review by the PPPRA, this could fuel speculative activities by marketers in periods leading up to these reviews, in an attempt to make wider profit margins. Nevertheless, the Minister of State for Petroleum noted that the pricing guideline is at an initial stage of the deregulation process and will ultimately allow market dynamics to set in. This is broadly in line with our view that the final conclusion of the reform and pricing dynamics should be left for market forces to determine. Finally, as a fallout from the decision to remove subsidy and the approval granted to marketers to source for FX from secondary sources, there was some sort of acknowledgement of the FX parallel market, by the government, hence there is an expectation of increased pressures on the naira in that segment and this was already noticed by the close of the week (15/05/2016), as the domestic currency weakened to about N360.00/US$1.00 from N320.00/US$1.00. This development gives credence to one of our signs to watch – foreign exchange rate adjustments. We strongly believe that subsidy removal should be complemented with a policy to liberalise the exchange rate market in order to mitigate further weakening of the Naira. Consequently, we suggest the reintroduction of the interbank FX market (Wholesale Dutch Auction System) which provides a platform where secondary FX sources can transact at competitive rates. Furthermore, a liberalisation of the FX market is also expected to lead to an influx of foreign investments which are currently waiting on the side-lines, as there will be improved transparency in FX management thereby strengthening the government’s foreign currency position. Subsidy payments have in the past constituted a huge drain on public finances. In 2015, we estimated that N680.0bn – equivalent to the capital vote for the year and 17.4% of recurrent spending of the FGN – was paid to marketers for accumulated debt despite sub-US$50.0/barrel crude oil prices. If the previous price cap (N86.50/litre) had been maintained post-adjustment of the pricing template to a more realistic exchange rate (N285.00/US$1.00) needed to incentivise private marketers to start importing petrol, subsidy payment would have increased to N58.50/litre or N81.6bn per month and estimated N979.2bn in a year. This would have been equivalent to 54.4% of annual capital vote and 120.0% of annual oil revenue of the FGN assumed in the 2016 budget. Besides the fact that paying such humongous amount as subsidy payment would have implied extra-budgetary spending (since the recently passed budget does not make provision for subsidy), the current revenue structure could barely accommodate it. Revenue estimates in the budget is already under threat due to the vandalism of oil installations in the Niger Delta which has pruned oil production to 1.67mbpd (relative to 2.2mbpd assumed in the 2016 budget) in April according to S&P Global Platts. If the cost adjustment had not been transferred to retail consumers, the FGN’s share of the US$550.0m Federation earnings from oil in April would barely be enough to cover subsidy payment for May. I. The removal of subsidy will help in better fiscal budget performance as the pressure on government finances reduces and funds are channelled to more productive sectors of the economy. II. As the process of deregulation is eventually completed, overhead cost of enforcement of retail pump prices will eventually drop off in alignment with the current fiscal thrust to prune down overhead cost of governance. In the short term, increase in PMS prices will pressure consumer spending as households re-prioritize consumption upon steep increase in electricity tariff, imported and locally produced consumer non-durables and now petrol prices. Real income will also further experience a drag as we estimate inflation rate to likely overshoot the 14.0% mark in May. There is no reliable survey yet to estimate nominal wage trend but our best guess is that increase in wage rate if any, will not likely match inflationary trend. Our assumption is based on expected contraction in per-capital income in H1:2016 if GDP growth remains under 2.0% (Afrinvest forecast) and population grows at the mean rate of 3.0%. Estimating the potential benefits of a partial deregulation on household will be contingent on, 1) how much the price adjustment solves the problem of shortages in petrol supply, and 2) implementation rate of the capital component of the 2016 budget and impact on GDP growth and per-capita income. On the former, we are conservative due to lack of an exchange rate policy and bullish outlook for crude oil which could fuel speculation of another adjustment in the pricing template while for the latter, we are more confident on government meeting its capital spending vote. Household expenditure accounts for more than 65.0% of aggregate nominal GDP measured under the expenditure approach and the impacts of double-digit inflation, real wage pressure, FX and petrol shortages, higher unemployment rate and salary backlogs (especially at the sub-national level) will no doubt weigh on aggregate spending in the economy in the short term. But we believe that if the deregulation of the petrol market ensures consistent supply, States where petrol is currently being sold above N170.0/litre will subsequently revert towards the normal market rate and ease consumer burden. Ready availability of products will reduce man-hour wastages which is also positive for productivity. While the reprioritization of government spending towards capital projects and strategy also being mapped out to ease conditions of doing business could transition Nigeria in the medium term, from a consumer market where growth is driven by household consumption expenditure (dependent on oil wealth), to an investment market where growth is driven by investment spending of the government and the private sector. Effect on Supply and Demand Dynamics: Energy is a common supply variable for businesses, most especially SMEs who depend majorly on petrol as the source of power. Expectedly, new petrol pricing regime will have a cascading impact on supply in the interim. While short term impact may be soft on large firms that essentially use diesel, impact will be significant on SMEs with huge dependence on petrol. In addition, effect on real wage will pressure demand significantly, thereby depressing revenue growth especially in the immediate quarter. This will likely outweigh the short term benefit of increased productivity expected to stem from improved availability of fuel. Therefore, short term impact will be negative on demand and supply dynamics to businesses. Long Terms Benefit will come from Fiscal Impulse: Our argument for fuel subsidy removal had been based on the notion that subsidizing consumption rather than production misguides growth. The huge fiscal burden (N680.0bn in 2015 or 17.4% of budgeted recurrent spending) of subsidy payment in the light of impaired oil revenue and external reserves, makes it imperative to deregulate the market and free up cash flow to invest in higher-priority capital projects necessary to boost productivity in the real sector. For instance, total spending on Subsidy in 2015 (N680.0bn) equals 37.8% of total capital expenditure (N1.8tn) appropriated for 2016, this is 1.6x capital spending allocated to Ministries of Works, Power and Housing (N433.6bn), 3.4x allocation for transportation and 2.2x capital spending on Defence (N134.0bn), Health (N35.6bn), Education (N37.0bn) and Agriculture (N47.0bn) put together. Thus, long terms benefit of subsidy removal will be reduction in operating cost to firms, which will improve operating margins and enhance overall welfare of the economy. Effects on Oil & Gas Companies: In the interim, retail price will converge at the upper cap (N145/litre) due to price peg, however as the removal of import quotas & licenses brings about improvement in supply across the country. Thus, performance metrics for Oil marketing firms will normalize. However, in the medium to long term, exchange rate pressures will likely serve as disincentive for importation and accelerate domestic production with the Dangote Group already eyeing the completion of the largest refinery in Africa. Development of the mid-stream Oil & Gas sector may crash petrol prices in the long run. Social Instability: The hike in fuel price will worsen prices, most especially in major cities like Lagos and Abuja, as transport and electricity, gas and other fuels which constitute 23.2% of the CPI weighting pressure May inflation and beyond. Hence, increase in general price level will hurt real wage rate significantly. Accordingly, Labour Union will be justified to propose review of the minimum wage. Thus, Government will have to choose between readjusting pump prices downward or an upward review of minimum wage. On a balance of factors, an upward review of minimum wage will moderate the gains from subsidy savings but will ease consumption spending and have a much more long lasting impact on the economy. Higher Inflationary Pressures: Without doubts, empirical review of past increases in pump price of fuel shows it always mount pressure on domestic prices. The recent steady rise in Inflation (from 9.6% in Jan-2016, to 11.4%, 12.8% and 13.7% in February, March and April respectively) is linked partly to high fuel prices across States in Nigeria. In our view, the increase in pump price of fuel, coupled with the attendant impact on transportation cost and staple food prices, should mount at least a 1.9% M-o-M pressure on the overall CPI which would translate to 14.6% headline inflation for May 2016. Output Growth: In the short to medium term, demand and supply pressures fuelled by the hike may constrain GDP growth as expansion in cost margins and weaker consumption spending drag corporate earnings. As a result, GDP is likely to contract in H1:2016 on the back of delayed fiscal spending and FX challenges which had hindered economic activities in Q1 and overarching impact of petrol price hike in Q2. However, government spending on critical infrastructure will boost performance in the long run with a multiplier effect on operating margins and consumption spending. Emergence of Mid-Stream Sector: As noted earlier, FX pressures may disincentivize importation and spur competition and the growth of the mid-stream sector. This also portends a long term benefit to the economy via changes in the structure of FX demand and utilization and a likely improvement in FX reserves accretion via improvement in exportation of refined fuel to neighbouring states. In essence, diversion to nearby countries can be legalized in form of export if domestic production is more than enough to meet daily demand. Furthermore, this will end the never-ending spiral of fuel price adjustment crisis in the country and eliminate long queues at petrol stations. Job Creation: A fully deregulated downstream sector will also spur job creation in the economy. According to Honourable minister of State for petroleum Resources, about 200,000 jobs will be created by this new policy. Most of these jobs are expected to come from the elimination of import quotas & licenses that now allows anyone with the capital requirement to import fuel and distribute the same across the country. With increased participation, we expect demand for labour to increase. 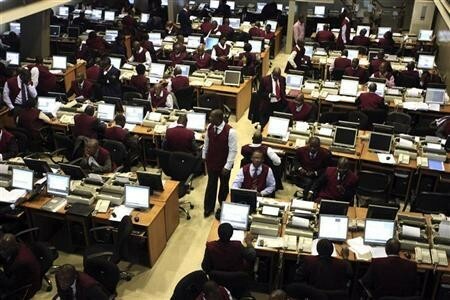 Improved Sentiment in the Equities Market. 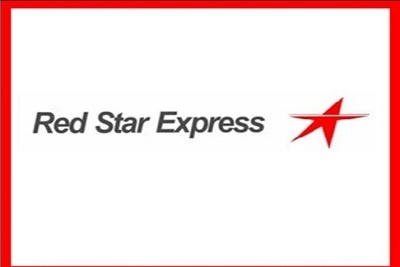 We expect sentiments on listed downstream stocks to be buoyed by recent policy as lee-way to import fuel will enhance fundamentals thus improving valuations. Overall impact is expected to be an improvement in the performance of the Broader All Share Index as demands by both foreign and domestic participants strengthen market activities. However, a caveat to this remains the CBN’s silence on the outlook for the local unit which is expected to endure another episode of demand pressure in the parallel market following the directive of the government that marketers should now source their FX requirement for imports from autonomous sources. Higher Yields on Fixed Income Securities. In the bonds market, galloping inflation will trim real return on debt securities, but investors will reprice assets, driving yields northwards. Meanwhile, improved sentiments on equities may temper appetite for bonds. However, this is subject to the position of the Apex’s Bank to yield to the pressure to adjust the domestic currency exchange rate, a move expected to trigger influx of foreign portfolio investment into the system. In the light of the policy pronouncement by the Minster of State for Petroleum Resources on the liberalization of the Petroleum Downstream sector, there is a need for a complementary policy from the Monetary Authority, particularly in terms of foreign exchange administration. We have always reiterated our reservations with the current FX regime that operates at a peg of N197.00/US$1.00 in defiance of the arbitraging spread created at the BDC/Parallel market. Whilst we largely attribute the current pressure on exchange rate to past policies introduced by the CBN, we believe that the Apex Bank is left with no other choice than to initiate a currency adjustment that will substantially address the monetary policy issues that the fuel price hike has created. We believe the CBN or the Monetary Policy Committee, in its next/emergency meeting, needs to take the following steps. 1. Initiate a currency adjustment/devaluation that will take the official/interbank market rate closer to the exchange rate of N285/US$1.00 assumed by the PPPRA in its pricing template. This is to reduce the pressure on the parallel market rate which has already been endorsed by the pronouncement of NNPC. Failure to do this will further compound the FX challenges, widen the spread between interbank/official markets, create more opportunities for arbitrage, increase the pump price of petrol in the PPPRA price modulation template and further pressure the general price levels. 2. Remove the restrictions earlier imposed on 41 items that were excluded from accessing FX at the official/interbank window and make the market free for all to access. This will possibly instil confidence in market players and ensure other inflows from alternative sources into the FX market while also attracting FPIs and FDIs that will help increase FX supply in the system. In this arrangement, the CBN will not be bound to meet any demand but will only intervene when it needs or wants to at market competitive prices. The arrangement will again reinstate the interbank market as the main market for pricing foreign exchange thus helping the monetary policies of the CBN. If this is not done, then, a currency adjustment would aggravate the situation as the demand pressure from oil marketers and the banned 41 items could cause parallel FX market rate to skyrocket. 3. Take major monetary policy moves that will help balance the various macroeconomic variables that have been affected by the hike in petrol price. We expect the MPC to take monetary policy decision to hike interest rate based on rising inflationary trend. The Committee in the last meeting guided the market on the need to maintain a positive real interest rate for which MPR was hiked to 12.0% when February inflation was 11.4%. Inflation rate has accelerated to 12.8% and 13.7% in March and April 2016 with higher projected prices in the months ahead; hence, for consistency, the MPC will need to increase MPR above the inflation rate in order to guarantee real return. In our view, the MPC is at a crossroad with regards to its response to inflationary pressures based on its forward guidance. It would be proactive, if the Committee frontloads inflation expectation into MPR in anticipation of higher prices (in which case we will project MPR at 15.0%). But, we differ with the Committee in terms of setting policy rate to align with real return as we believe more in market efficiency in setting this objective in line with investor return objectives and sentiments. The dilemma for the Committee would then be to either allow the market set interest rate and risk inconsistency in policy or increase MPR to 14.0% or 15.0% in addressing negative real return problems and risk higher cost of credits to both government and businesses. Consequently, we believe if the MPC does nothing about the MPR, allowing the market to find its true yield level, but concentrates on its OMO mop-up strategy of controlling liquidity, the result would be more absorptive for the economy given that inflation in Nigeria has been studied to be majorly cost-push.